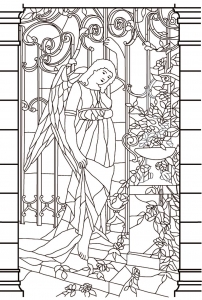 Here are Coloring for adults made from authentic Stained glass. What is it ? 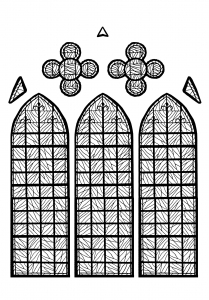 "Stained glass is glass that has been coloured by adding metallic salts during its manufacture. 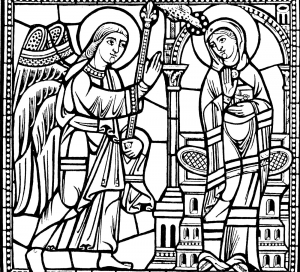 The coloured glass is crafted into stained glass windows in which small pieces of glass are arranged to form patterns or pictures (Source : Wikipedia)"
Works dating from the middle age or most recent, religious representations, abstract forms ... you can choose what inspires you the most. 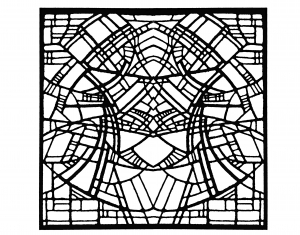 Each stained glass has been worked and optimized to keep only the black and the white. 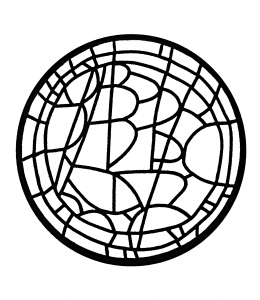 Most of the time, we have indicated under the image his origin (church, city, country ...), if you want to discover the original colors. 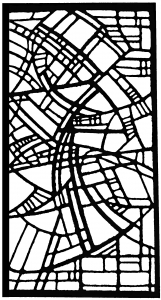 Beautiful reproduction of a modern stained glass in a church, in black and white with thick lines. Relatively low complexity, but the result should be wonderful !